The Wachau Valley is a ca. 30 km long valley between the cities of Krems and Melk and is properly the most famous wine district in Austria, only 80 km from Vienna. 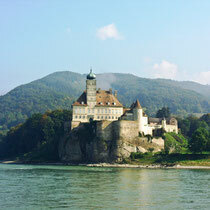 The Wachau is located alongside the river Danube that has formed the region enormously. The beautiful landscape with its countless vineyards reminds one of more Mediterranean areas and has a very special atmosphere. The closeness to the river is also a reason why the climate is mild and sunny. On the typical stone terraces, noble grapes are being cultivated. 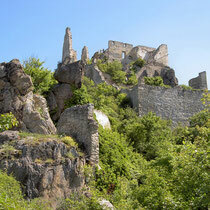 The region is especially known for its world famous white wines like Wachau Riesling, Grüne Veltliner or Chardonnay. The wines mature to their high quality in the cellars of the vineyards in the region. There is a very lively “Heuriger”- culture in the Wachau. “Heuriger” is the name of the wine of the year as well as of the taverns where it is served, usually from the own production. These “Heuriger” taverns have a rustic and relaxed atmosphere and the dishes which are served are simple and are regional shaped. 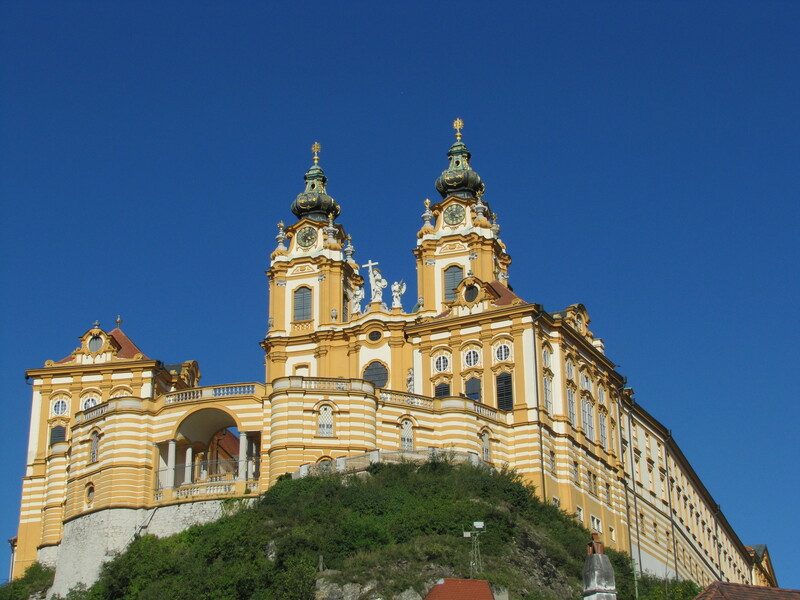 Two of the most central cities for the region are Krems and Melk. 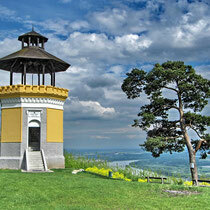 Krems is best known for its nice Old Town and monastery and, a former capuchin monastery. Today the building is used as an event location and for wine seminars – here, tradition and modernity is combined as well as culture, culinary experiences and wine. Melk is about 1.200 years old, was first mentioned in the German heroic epic Nibelungenlied (which originates from the Middle Ages) and is best known for its magnificent Benedictine monastery, Stift Melk, which is one of Austria’s finest and most impressive Baroque church and has become one of the Wachau’s landmarks. Another town in the region worth a visit is Dürnstein with its characteristic blue church, Stift Dürnstein, which was built in the 14th century. 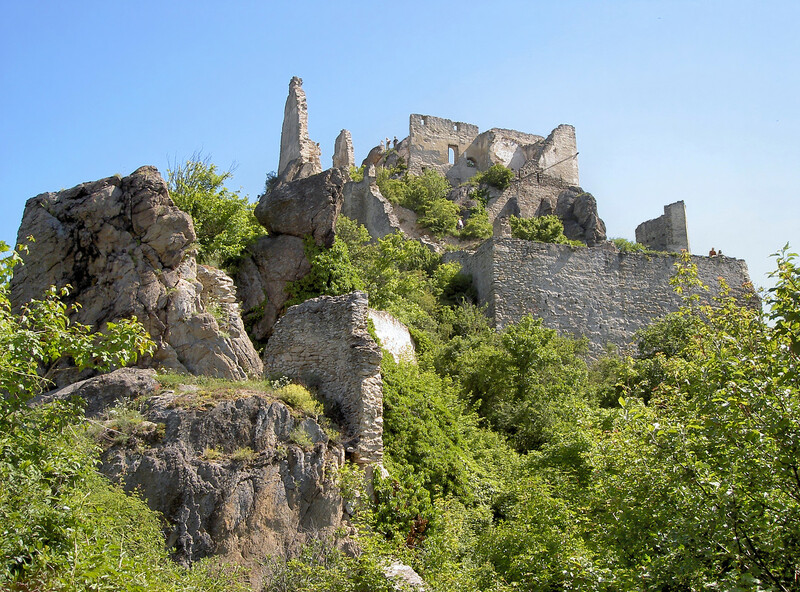 The little town is also known for the castle ruin where the English king Richard Lionhear was held as prisoner between 1192 and 1194. The narrow streets and little shops in this nice town invites to a shopping tour where one can buy local products and craftsmanship from the region. 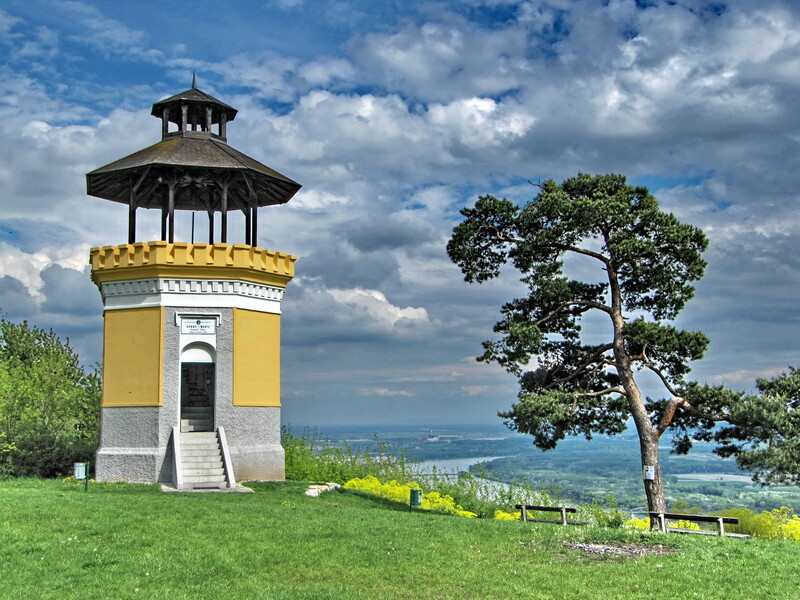 The town itself is located on a hill, which provides a great view over the Donau valley. Here one can sit very comfortable and enjoy a glass of wine in one of the little restaurants. A visit on one of the numerous vineyards is a must, as much as a wine tasting or a tour through the hills where the wine is cultivated. Many local vineyard invite for a visit and a wine testing. 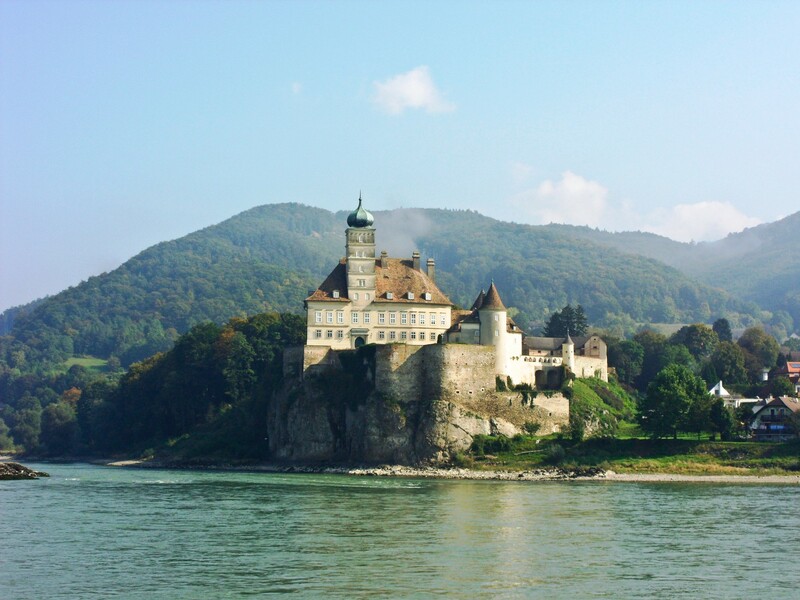 To get an impression of the nice surroundings it is absolutely recommended to see the Wachau from the waterside, for example by taking a boating trip on the Donau. 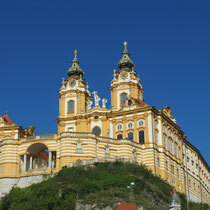 Such a tour includes most of the sights like Krems, Stift Göttwig, Dürnstein, Weißenkirchen, Spitz and Melk. Boat trips can easily be combined with a bicycle ride along the river to see and experience both sides, from and along the water side.